A trusted advisor to America's top corporations and recognized as one of today's preeminent marketing experts, Jay Abraham has created a program of proven strategies to help you realize undreamed-of success! Unseen opportunities face each of us every day. Using clear examples from his own experience, Jay explains just how easy it can be to find and/or create new opportunities for wealth-building in any existing business, enterprise, or venture. And just how easy can it be? One entrepreneur took the concept of the ballpoint pen and refined it into a mulimillion-dollar idea: roll-on deodorant. Fred Smith of Federal Express took the methods that banks use for clearing checks to develop an overnight delivery company that has revolutionized the way we do business. Now, what have you seen-- or are going to see-- that you could take and turn to your advantage? 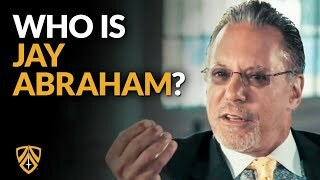 Jay Abraham is known as "The 9 Billion Dollar Man" for adding at least that much in revenue to his clients' bottom lines. As the founder and CEO of The Abraham Group, Inc, Jay has been recognized as one of the most successful marketing and business strategists on the planet. He has over 25 years of experience solving problems for more than 10,000 clients in more than 450 industries around the globe. 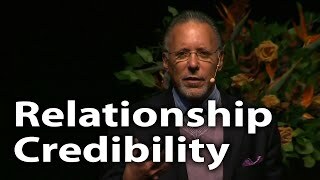 Jay Abraham's ability to uncover hidden assets, overlooked opportunities, and undervalued possibilities has captured the attention and respect of CEOs, bestselling business authors, celebrated entrepreneurs, and fellow expert marketing consultants; yet, his clients and audiences range from Fortune 100 companies, such as Microsoft, FedEx and General Electric, to small business owners, company employees and college students. Using various formats, including everything from engaging keynotes, interactive 1/2 and full day workshops, to weekend bootcamps and more, Jay Abraham teaches audiences/clients how to take various, proven success-concepts from a myriad of industries and adopt them to their specific business goals. He has been featured in Forbes, INC, Success Magazine, Investor's Business Daily, USA Today and many other notable business publications.